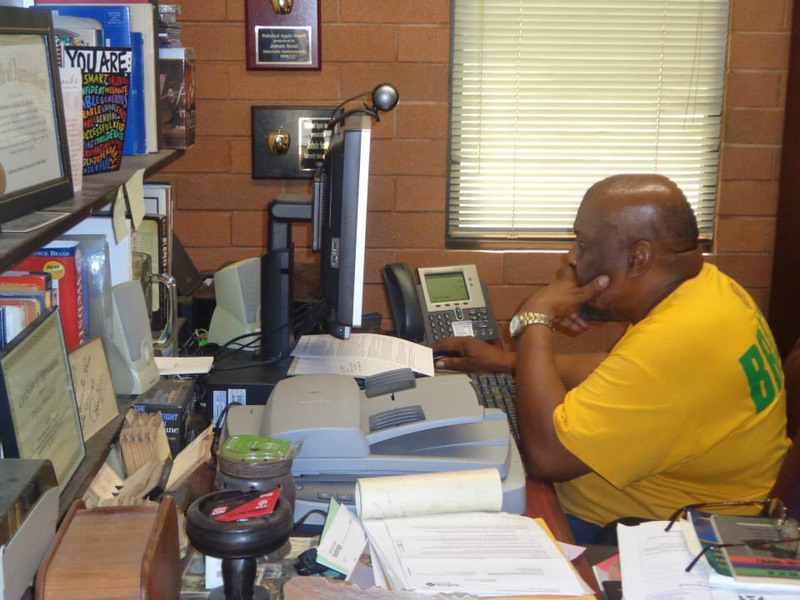 Professor Johnie Scott has served as an active member and professor of the Africana Studies Department for 33 years. Photo provided by Johnie Scott. Professor Scott will miss his students and the impact they all have left on him. Photo provided by Johnie Scott. 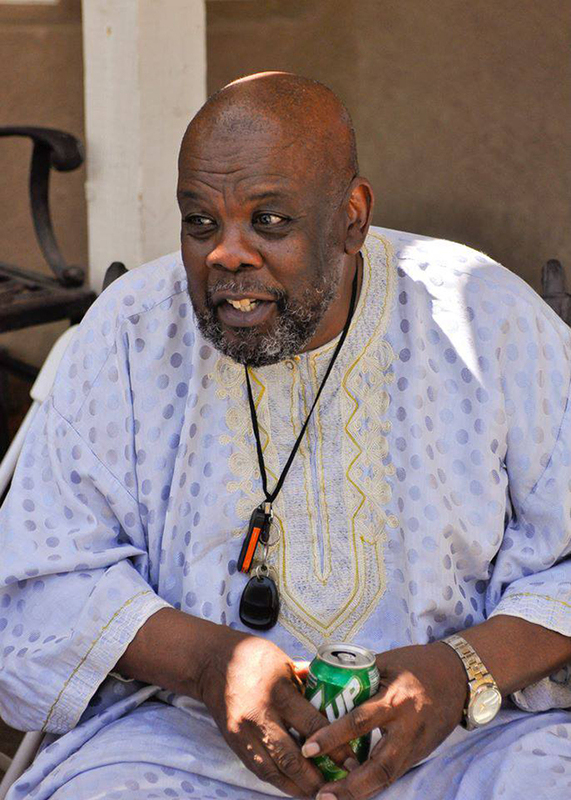 After teaching in the Department of Africana Studies at California State University, Northridge for nearly 33 years, professor Johnie Scott will retire on May 27, at the end of the spring semester. Professor Johnie Scott will retire on May 27th, 2017, after 33 years of teaching at CSUN. Verne Bryant, a professor in what was then CSUN’s Department of Pan African Studies (PAS), recruited Scott in 1984 for a position in the department. He started that August, and the rest is history. “My life, my passion, has been rooted in the black community,” Scott said. PAS was founded in 1969 and became the first state-sponsored Department of Black Studies in the nation. “I would like to think my teaching and work here in the Department of Pan African Studies, now called the Department of Africana Studies, has provided the opportunity for further growth, reflection and focus,” said Scott. The professor said he plans to focus more attention on himself and his family after retirement, in order to be active and enjoy what he refers to as the “golden years” of his life. Scott recounted a few of his accomplishments while serving as a driving force on campus for 33 years. He received CSUN’s Distinguished Teaching Award in 1992 and four “Polished Apple Awards” from the University Ambassadors, an annual award given each spring that recognizes faculty and staff who make a positive impact on the lives of students. Scott also said that taking more than 2,000 students to visit theatrical and concert venues for plays and productions has been a highlight of his time at CSUN. Professor Scott grew up as a young boy in the Jordan Downs Projects of Watts, CA. He is the oldest of seven siblings raised by a single mother. Scott received a scholarship to study at Harvard University, but went on to receive both his B.A. and M.A. at Stanford University. Of his students, Scott says their energy keeps him enthused and receptive to fresh ideas. “I find that with students — with young people — their interests, pursuits and creations not only are surprising, but pleasantly so,” he said. One of those students is Olivia Njuki. Njuki is a graduating senior majoring in Africana studies and serves as the president of the African Student Association. She said that professor Scott has helped her become an overachiever. Scott said he will miss teaching classes, the lectures and watching students grow and develop over the years into young, confident people. He also had a few parting words of advice for students.